Macy’s started 2017 slashing not only prices, but the number of store locations and employees. As shares also began to drop, another major change was happening. The staple brick and mortar brand welcomed in a new CEO, Jeff Gennette. 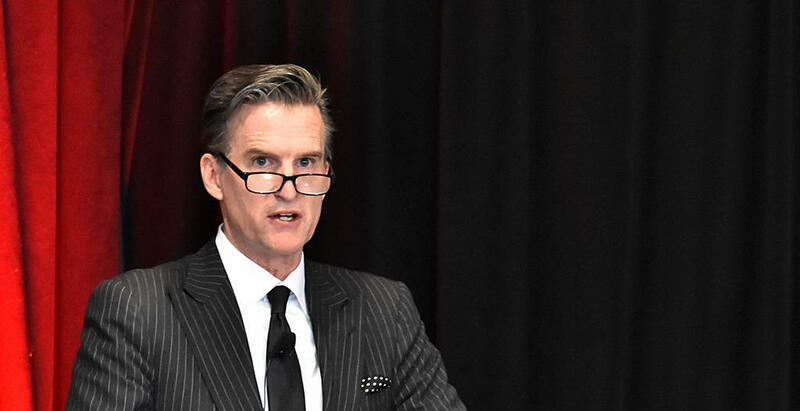 Leading the way after former CEO Terry Lundgren, Gennette was ready to make his mark on the future of Macy’s. MillionaireMatch was able to get the scoop on what’s next for the giant retailer. Gennette has been with Macy’s since joining in 1983. That makes over thirty years of experience. He has seen the highs and the lows, and with everyone watching the change in consumer buying he is doing his best to stay ahead. “This brand plays a role in their lives,” he said about those who love the store. Even though they love the store, it’s been a challenge to get people coming into the store as more shoppers are opting to purchase online. He noted that 90% of their customers aren’t likely to buy something if they enter a store and interact with a sales associate. “Every time she walks into Macy’s, she expects something good to happen. We can’t afford to disappoint her,” Gennette said about the Macy’s shopper. Knowing that information he has been making plans to bring the Macy’s off-price brand, Macy’s Backstage, into the stores. He believes this is a great strategy to get more foot traffic. In addition, he wants less coupons and more dedicated sales racks. “Customers don’t shop by brand anymore. They shop for some brands, but they don’t buy it from head to toe. Their loyalty to some particular retail brands is in many cases diminishing, and they all have higher expectations for customer experience. The experience for our millennial population is more requiring. They expect more from their experiences,” he said. “The competition is intensifying,” Gennette said. Macy’s does have a lot of competition including Amazon which is launching Amazon Prime Wardrobe where customers can try out clothes before they buy right in the comfort of their home. “Any good strategy has focus, and we have decided to focus on our best customers,” Gennette said. They are listening to the wants and needs of their shoppers, making sure they are changing along with them. In addition, they are using technology to their advantage instead of seeing it as a challenge. “Our customers don’t just adopt technology, but absorb it,” he explained. “What technology makes possible, and a sales associate makes personal is a meaningful competitive advantage. At our best, we do this well,” Gennette added. With the holidays around the corner, Macy’s will have the chance to take advantage of the season and hopefully increase sales. Gennette also added a recent executive from ebay, Hal Lawton to help with sales by taking on the role of president for the company. Gennette also said they will launch a new loyalty shoppers program. “We want to walk out of this year with a much better idea about what’s it going to take for us to be much more competitive in getting our store business at a much healthier pace,” Gennette said. We look forward to seeing what other surprises might roll out before the end of this year. We will definitely be ready for all the sales!